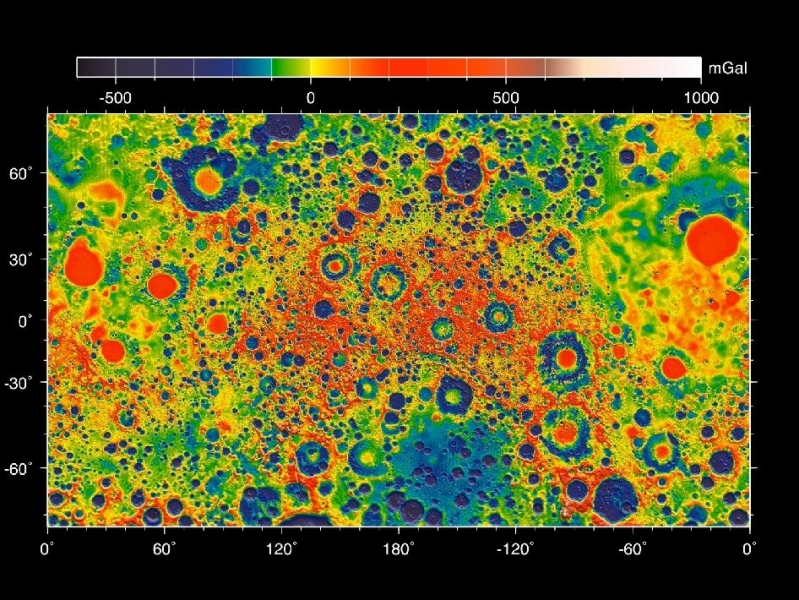 PASADENA, Calif. — Twin NASA probes orbiting Earth’s moon have generated the highest resolution gravity field map of any celestial body. These are the first scientific results from the prime phase of the mission, and they are published in three papers in the journal Science. The probes revealed the bulk density of the moon’s highland crust is substantially lower than generally assumed. This low-bulk crustal density agrees well with data obtained during the final Apollo lunar missions in the early 1970s, indicating that local samples returned by astronauts are indicative of global proceses. 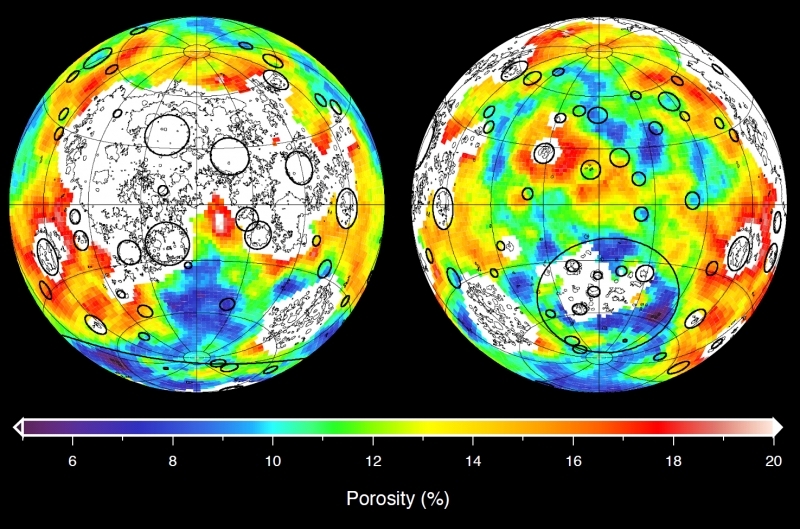 Image Credit: NASA/JPL-Caltech/ IPGP This image depicting the porosity of the lunar highland crust was derived using bulk density data from NASA’s GRAIL mission and independent grain density measurements from NASA’s Apollo moon mission samples as well as orbital remote-sensing data. White denotes regions that contain mare basalts (thin lines) and that were not analyzed. The 12% average porosity of the highland crust is a consequence of fractures generated by billions of years of impact cratering. The crustal porosities in the interiors of many impact basins are lower than their surroundings, a result of high temperatures experienced at the time of crater formation. In contrast, the porosities immediately exterior to many impact basins are higher than average as a result of fracturing by impact-generated shock waves and the deposition of impact ejecta.